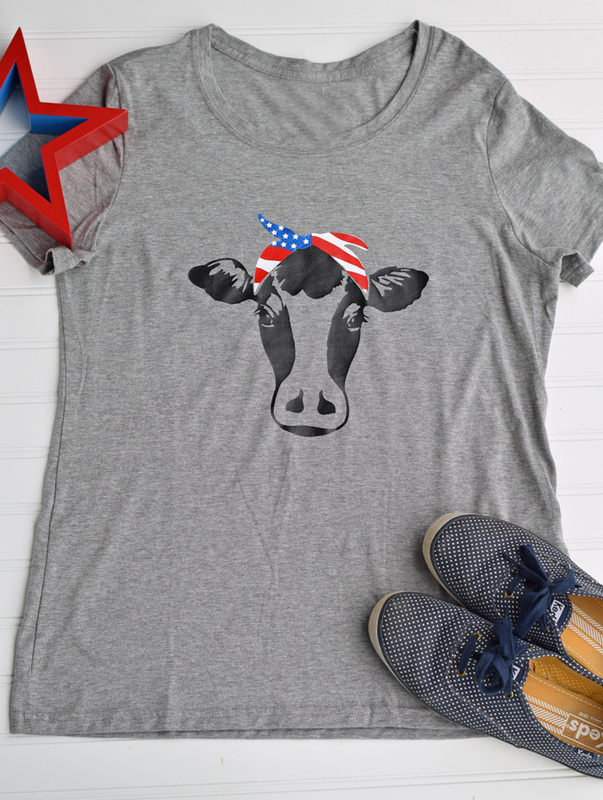 This Cow Americana Shirt is super cute! Using iron-on vinyl and my Cricut machine made it a quick project. 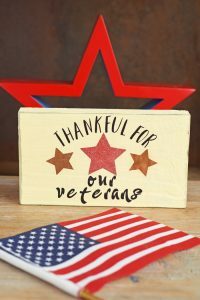 This post contains affiliate links which, when purchased through, add no extra cost to the consumer but help support this site. 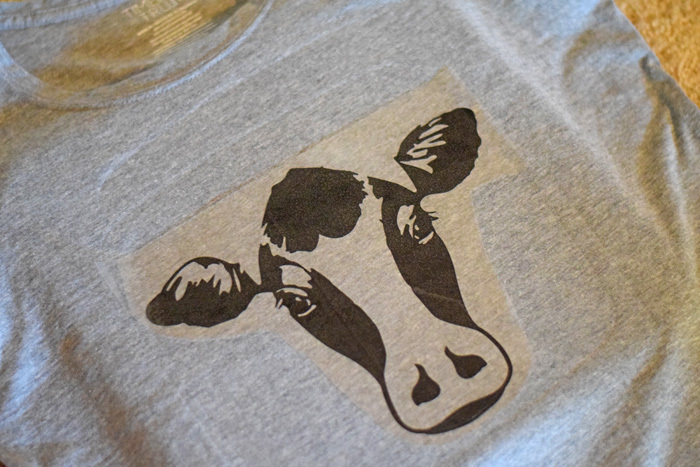 Iron-on vinyl projects are quickly becoming one of my favorites. I used to design my own, and still do, but I am discovering the value in using SVG files that are already designed for me. These are great for knocking out shirt projects quickly. 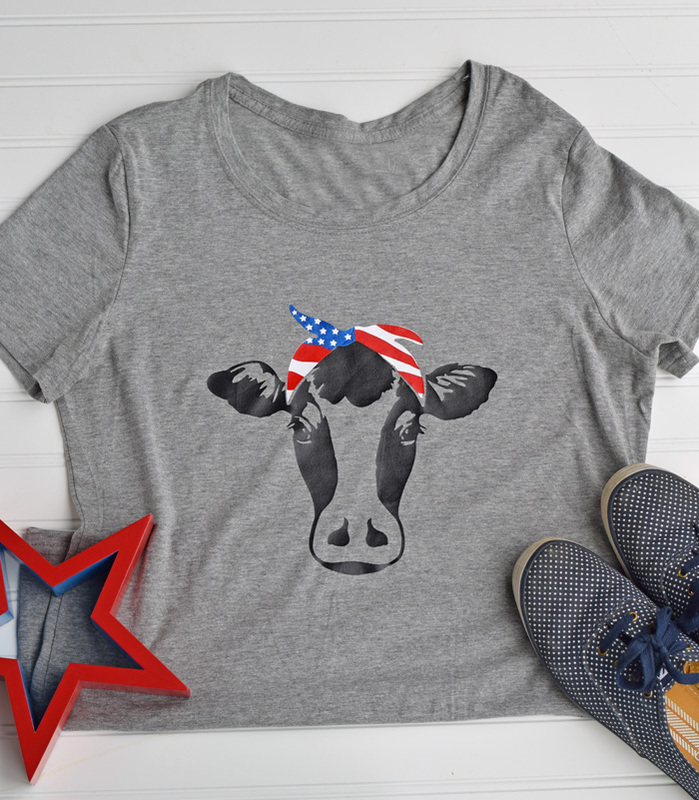 I shared last week how I’ve been utilizing DesignBundles for more ready-made files, and a file from a recent bundle made this Cow Americana shirt a fun project for the 4th of July. 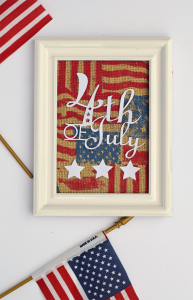 The design can also be used without the headband or without the headband elements that make the Americana headband look if you are not a USA resident or simply want one without an Americana feel. 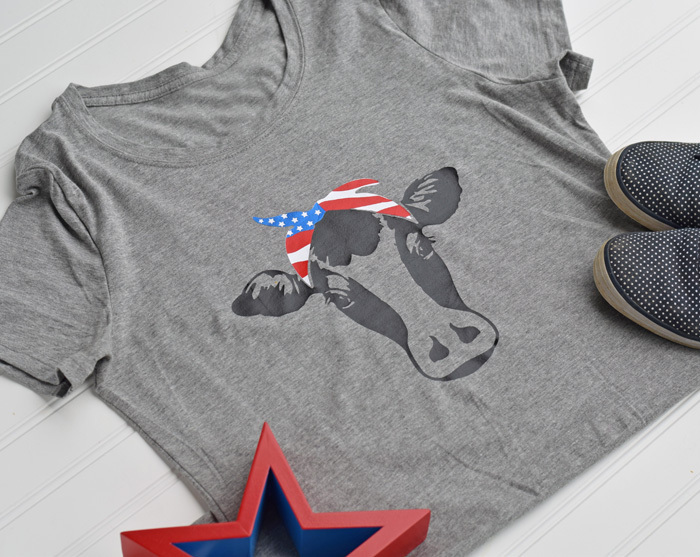 Purchase the Cow USA Flag Bandana Image Here! Grab the SVG file from DesignBundles.net. 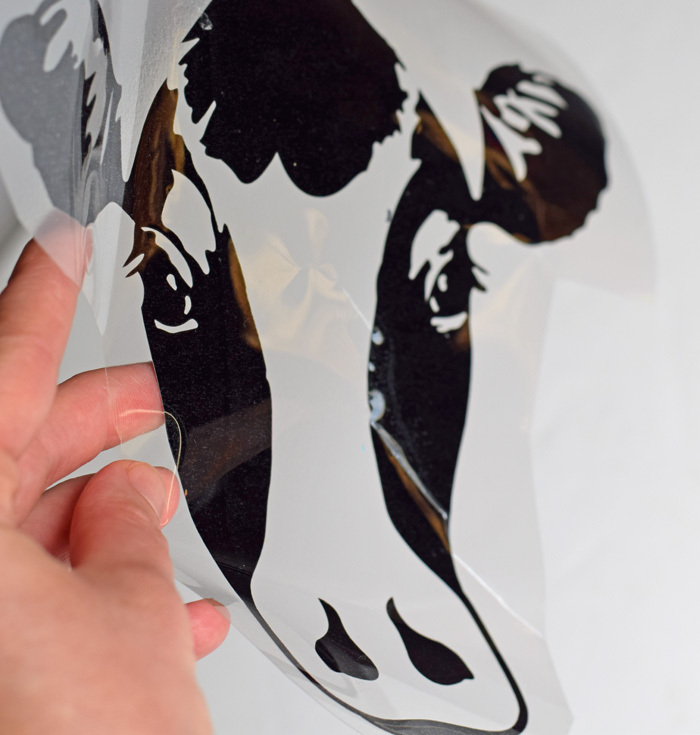 If you are unsure how to download an SVG file into Cricut Design Space, see How to Upload an SVG file into the program. Measure the front of the shirt to determine the size of the design. Jot this number down. 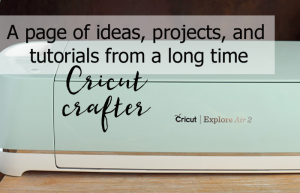 Open Cricut Design Space and locate the uploaded SVG file. Insert it into a new project. Change it to the desired size. Send the image to the Cricut machine. Make sure that EVERY individual color is mirrored, and set the dial to Iron-on vinyl. Following the instructions, cut each color vinyl. Weed each color to remove the unnecessary vinyl. 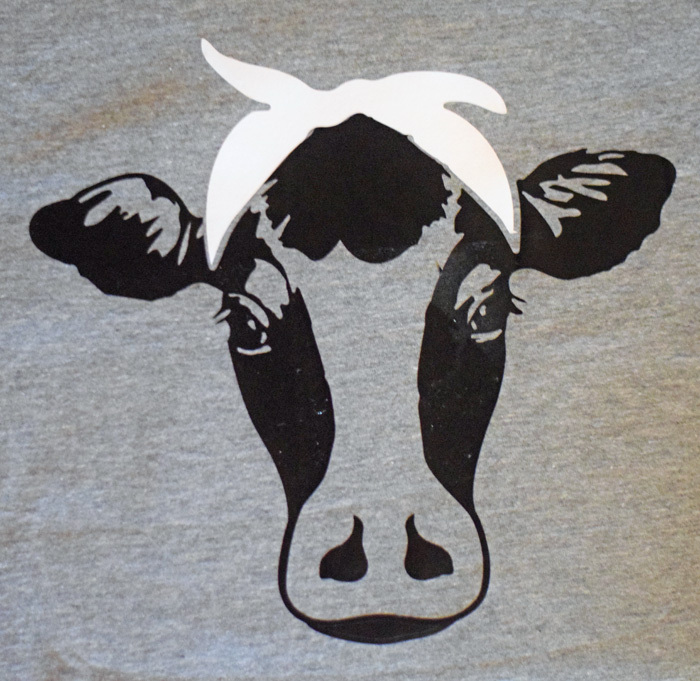 Using the home iron or EasyPress, apply the black cow shape to the shirt first. Secondly, apply the white headband base. Follow up with the red and blue. I always turn the shirt inside out and heat for about 15 seconds just to completely secure the design. This is so dang cute! The bandanna just makes it!